The new law — which went into effect Sunday — is designed to encourage development in less affluent areas of Chicago and leverage developers' desire to build Downtown and in other lucrative areas of Chicago to fund affordable housing citywide. Developers who wanted to abide by the 2007 version of the law had to have their projects submitted to the City Council by its Sept. 24 meeting and be approved within nine months, according to Peter Strazzabosco, a spokesman for the city's Department of Planning and Development. Ald. Ameya Pawar (47th), one of the authors of the toughened ordinance, said a rush by developers trying to beat the stricter requirements was "frustrating but inevitable." The new ordinance strikes the right balance and gives the city an important tool to maintain Chicago's "racial and economic diversity," Pawar said. City officials received 40 applications in September that triggered the affordable housing ordinance, a significant increase from previous months. Overall, the number of residential development applications jumped 46 percent from August to September, according to data released by the city. That is an indication of "a strong indicator of confidence in the Chicago real estate market," Strazzabosco said. 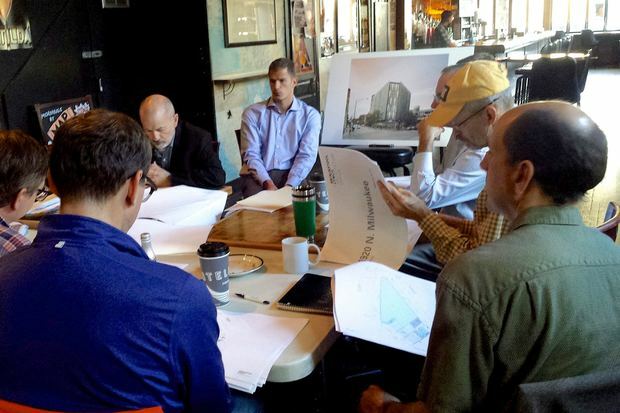 What is the Affordable Housing Ordinance and how is it changing? The city's affordable housing ordinance applies to any development of 10 or more units that needs special approval by city officials, is on city-owned land or is subsidized by taxpayer funds. Under the old version of the law, developers had to set aside 10 percent of their units to be sold or rented at below-market rates or pay a fee of $100,000 per required unit, which city officials used to build affordable housing units elsewhere in the city. During the City Council's debate on whether the law should be toughened, builders said more regulations would stifle redevelopment by increasing costs, making projects financially impossible. A developer and homebuilding trade group filed a lawsuit challenging the constitutionality of the 2007 version of the law about two months ago, according to court documents. That suit makes developers' rush to beat the stricter requirements "doubly insulting," Pawar said: "It is a slap in the face ... How do they look at themselves in the mirror?" The new ordinance will dramatically hike fees for developers who don't include sufficient affordable housing units, and will require at least one unit in the development be set aside for low-income residents. In some areas — like Downtown — those fees would double, while in other less desirable areas, they would drop in an effort to spur development. Pawar said he would encourage his colleagues to require projects submitted before the new version of the affordable housing ordinance took effect to include the affordable units on site, rather than allowing the developer to pay a fee. A planned redevelopment of a one-story Aldi grocery store into a 5.5-story 95-unit apartment building at 1749-67 N. Milwaukee Ave. in Wicker Park would not include any units for low-income Chicagoans, according to plans that have been in the works for months. Because the project was submitted before the deadline, it will pay $1 million ($100,000 each for 10 units) into the city’s affordable housing trust fund and be allowed to avoid including affordable housing units on site. Under the toughened version of the ordinance now in effect, three of the 10 required affordable units would have had to be rented at 60 percent of the market rate in the area. The developer could opt out of building the remaining seven units, but the fee would increase to $125,000 for each unit. Teddy Varndell, a Wicker Park resident, said that was disappointing, and called on Ald. Scott Waguespack (32nd) to require affordable units to be built on site. Ald. Joe Moreno (1st) said city officials should push for more affordable units to be built on site when the project requires a subsidy or special permission from city officials. "As a city we can do better," Moreno said, adding that he thought the development on the Aldi site should be required to set aside 10 units as required by the toughened ordinance. "This is a poster child for affordable housing," Moreno said of the 95-unit project. 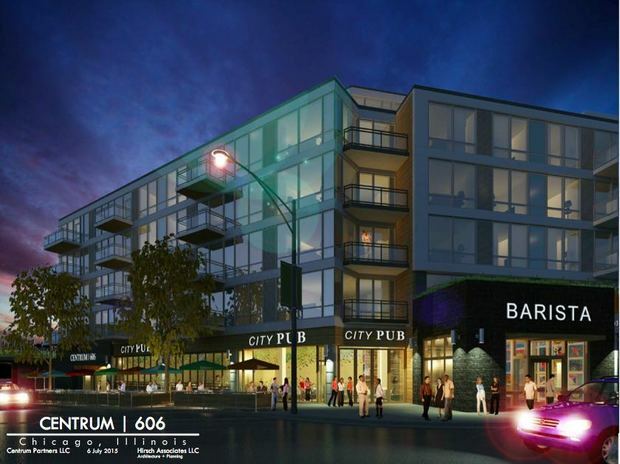 Sam Marts, an architect and a member of the Bucktown Community Organization, said he did not mind that another project in the area, a just introduced six-story, 50-unit apartment building at 1920 N. Milwaukee Ave. was trying to beat the deadline imposed by the new affordable housing ordinance. Another project supporters pushed through before the new requirements went into effect is the Jefferson Park Gateway Project, designed to transform long-blighted land into a 39-unit apartment complex with 11 shops. That rush to beat the affordable housing deadline nearly torpedoed the project — which originally did not include any apartments set aside for low-income residents — when the city’s Community Development Commission rejected it in August. 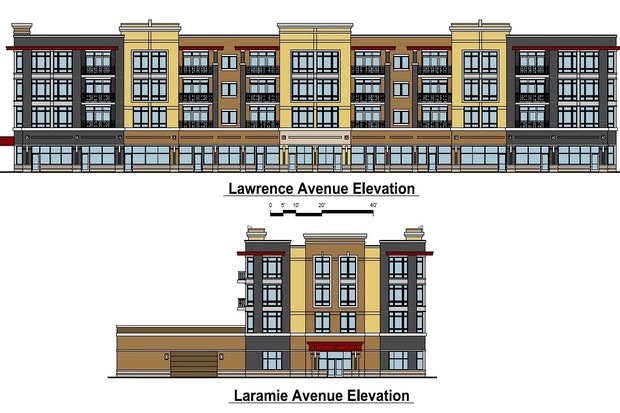 After the project was revised to include four apartments — two one-bedroom units and two two-bedroom units — for low-income residents, the commission approved the project, which would be partially built on city-owned land in the Jefferson Park Business District.